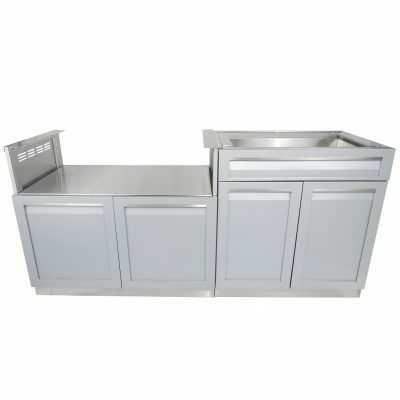 4-Piece Outdoor Kitchen Cabinet Set – G40025 - 4 Life Outdoor Inc.
Countertop adjustable left to right by 2 In. 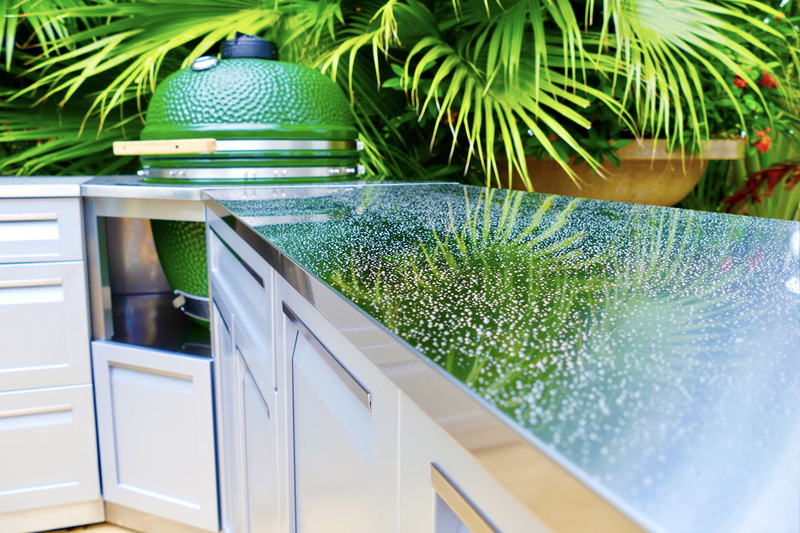 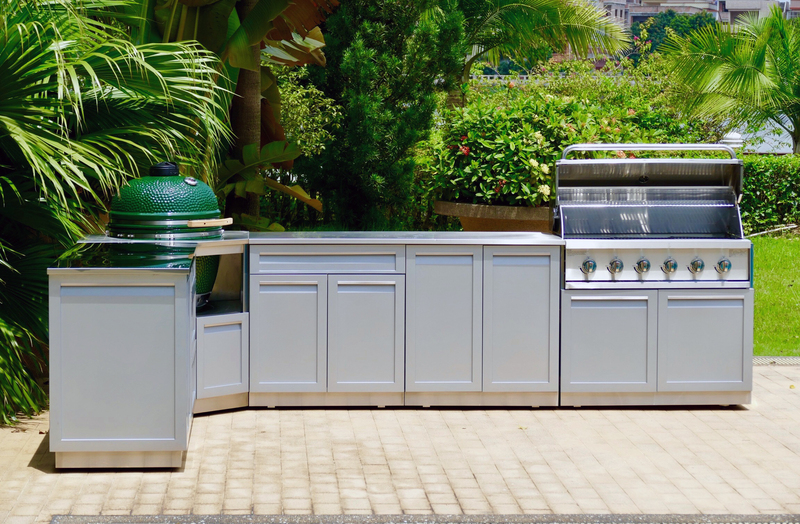 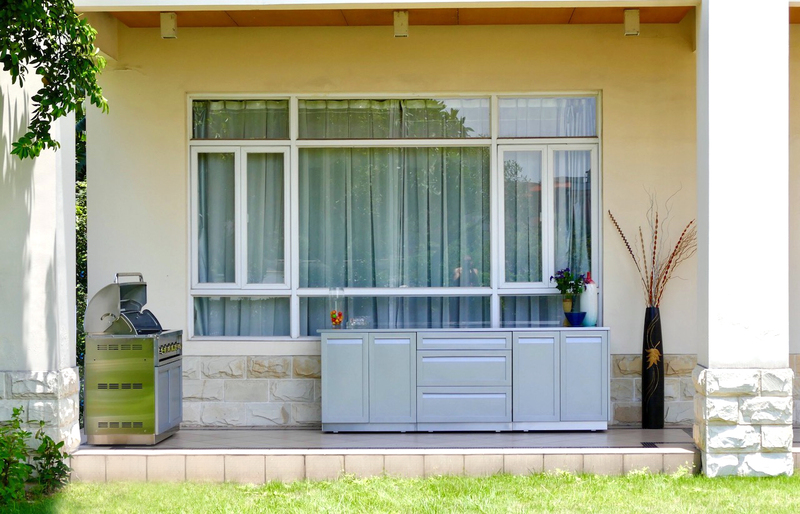 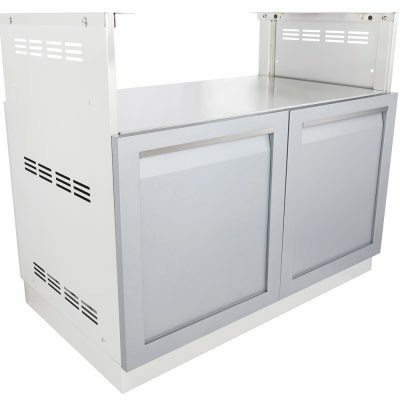 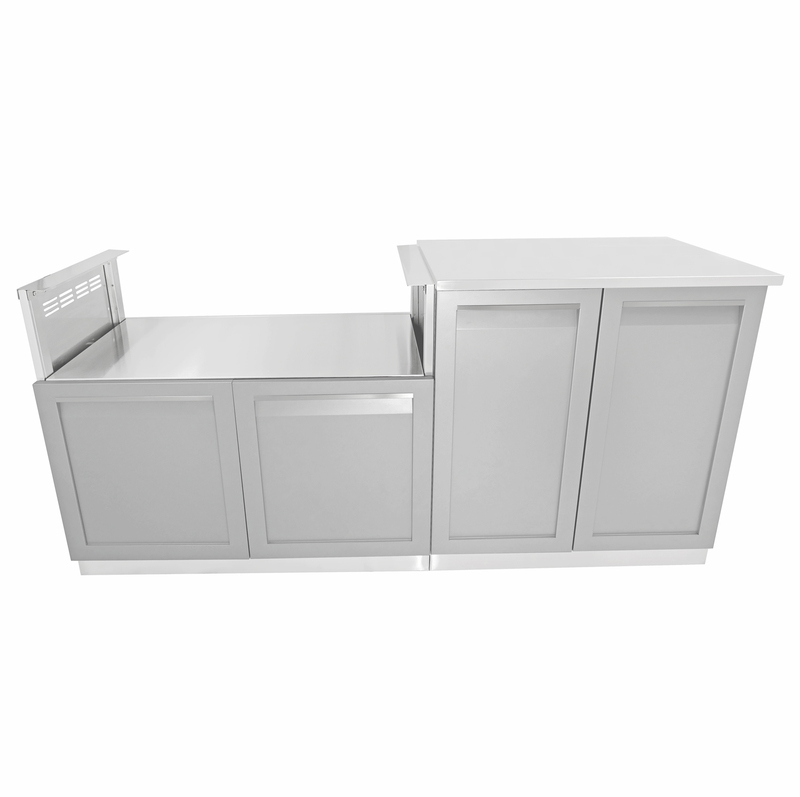 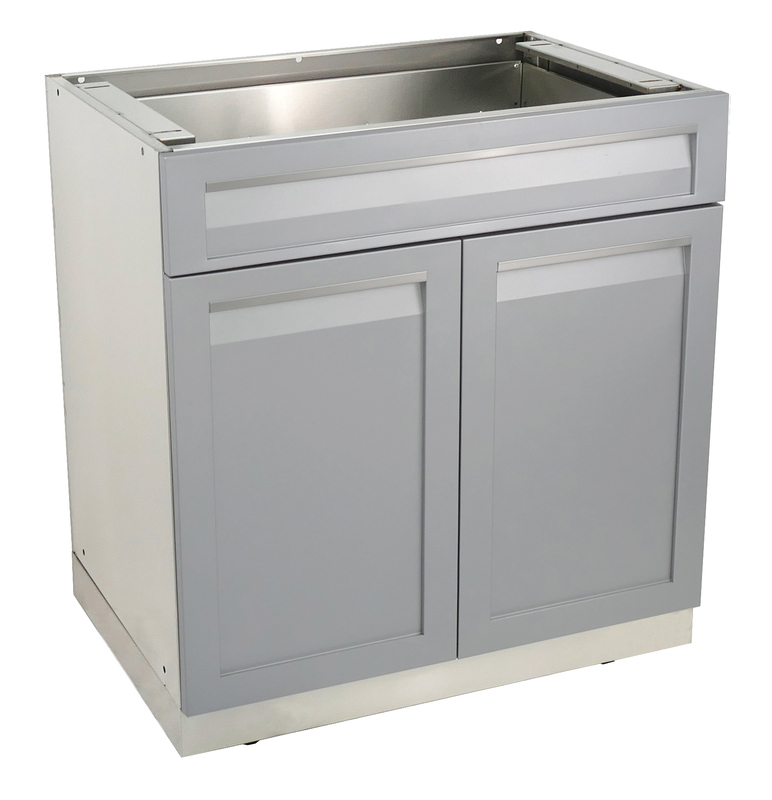 The gray 4 piece outdoor kitchen cabinet set, G40025, comes with: One 32″ 2-Door Cabinet, one 32″ Drawer Plus 2 Door Cabinet, one 32″ 3-drawer cabinet, and a 98″ stainless countertop. 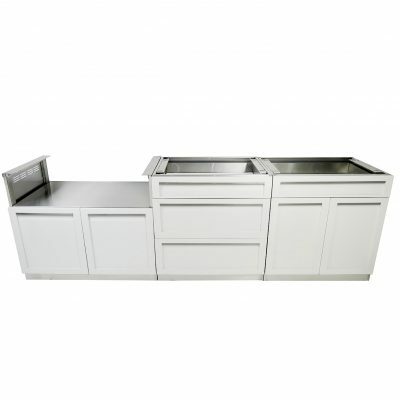 Each component is modular, meaning you can place the cabinets in any order, and are skillfully made from 304 stainless steel. 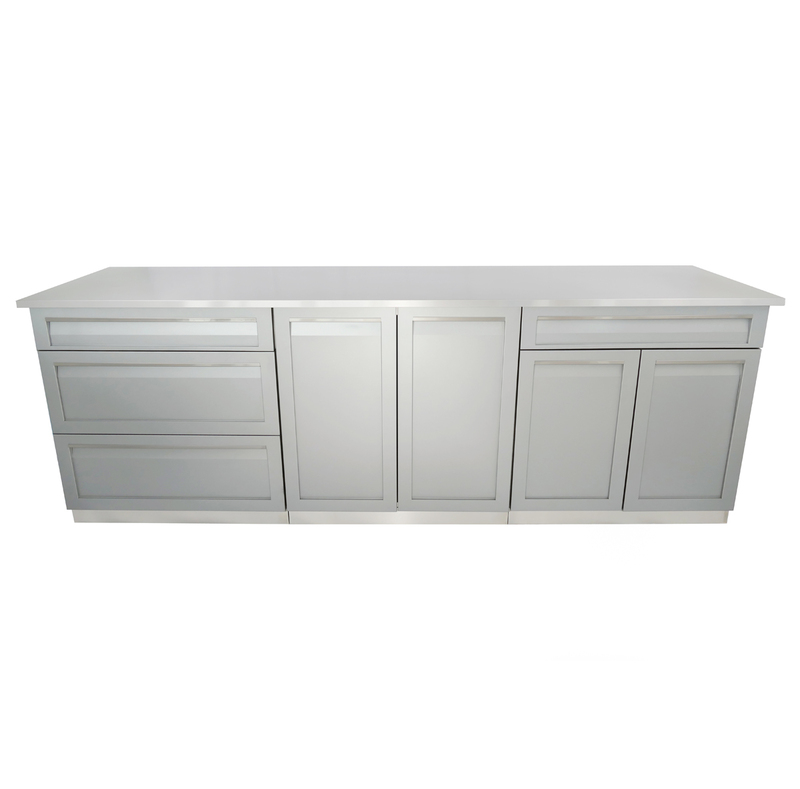 Delivered to your home’s curb side fully assembled, all you have to do is take off the packaging, place the cabinets where you like it and tighten the cabinets together. 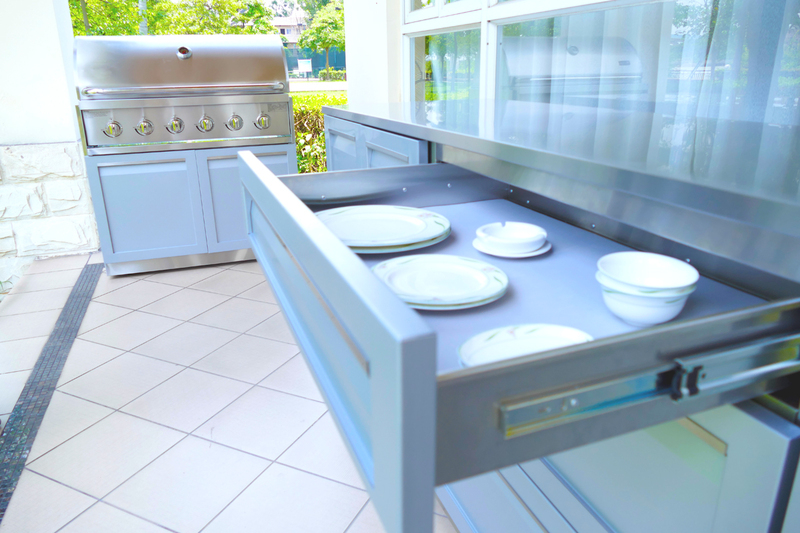 • Distance between BBQ supports: Large supports = 34.84 In., Small supports = 36.88 In., Combined = 35.86 In., No supports = 39.25 In.